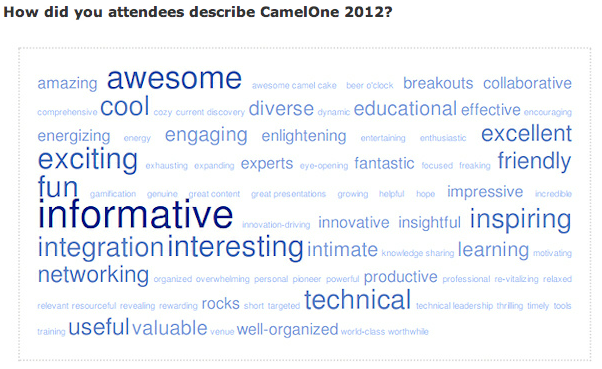 CamelOne was yet again a really cool and fun conference. 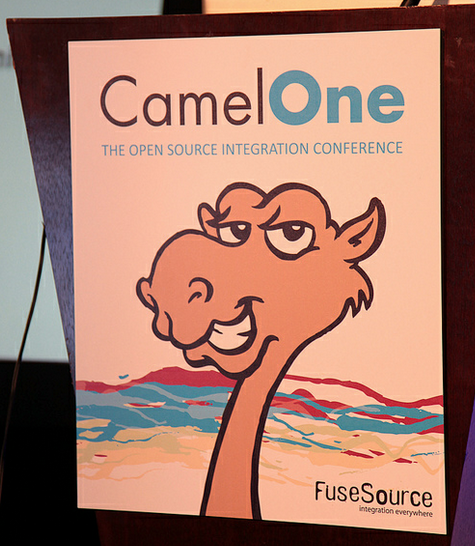 I just returned back home, from the 2nd annual CamelOne conference, held in downtown Boston. It was a 2 day packed with great talks with a balanced mix of technical talks, cloud stuff, and showcases of integration in the real world. The feedback of the conference was really good, as you can see from the image below. 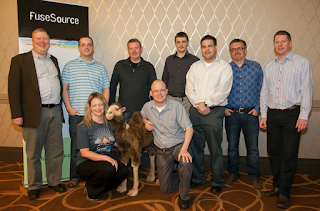 The FuseSource engineering team was present, and on the end of the 2nd day, Debbie, got us together for a photo session. So back the the 1st day. 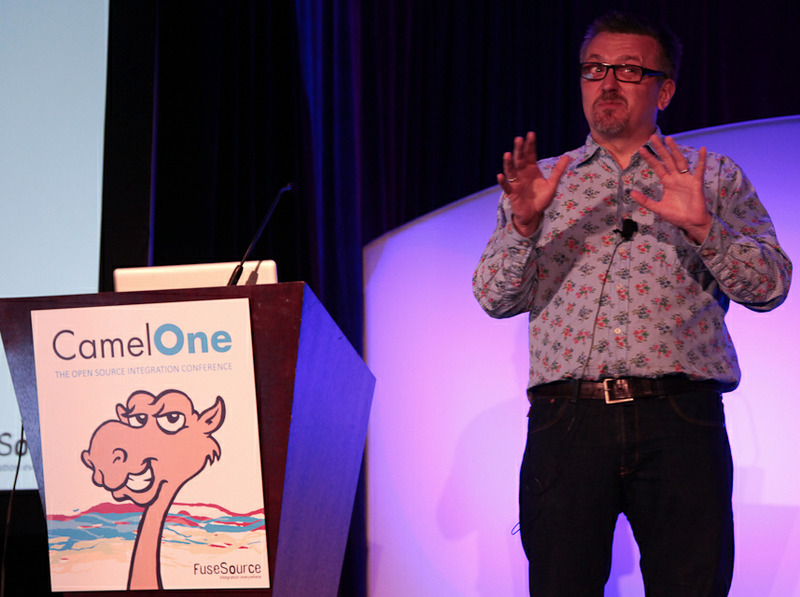 This year Jonathan and I was asked to do the opening key note, with our Camel story, and where the Camel project is today, and some thoughts about how Camel could be riding the cloud in the near future. Jonathan and I wanted to tell our Camel story with a sense of humor. I can say mission accomplished when the slide with the lovely Camel picture was shown. And no the picture is not retouched, it was found using google image search. After the keynote I gave a talk about how to get started riding the Camel. The talk is a practical focus talk so I was sharing the time 50/50 between slides and live coding. As all sessions were recorded, and we can all watch them later, as they will be posted on the CamelOne website, free for anymore to watch. A professional production company is currently processing the videos. They should be ready in weeks from now. I will blog when the videos are online. Jonathan was next after my talk, and his talk was a natural progress from mine talk. As he gave a rundown how you can run and deploy Camel and CXF applications in the ESB server. Jonathan showed how this works in practice as well. I got engaged in a number of hallway conversations, and didn't have the chance to attend a session at every slot. It was really great to meet so many happy Camel users, and hear their stories, where the Camel is riding in the real world. Also I was told that more and more commercial vendors is adapting Camel and embedding it internally in their commercial products. Kai Wahner gave his first of two talks today. 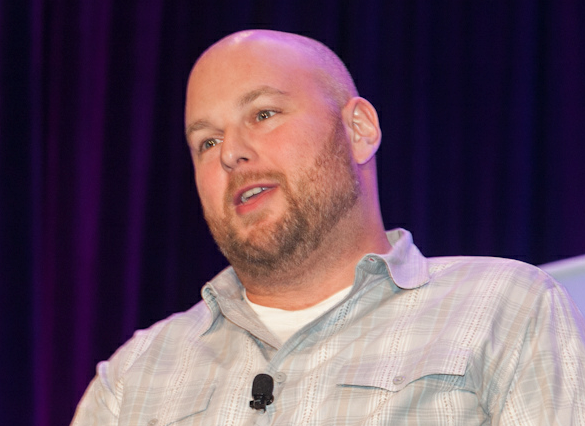 James gave the ending general session of the first day. As always a pleasure to watch James talk with such a enthusiasm. His talk was a technical talk addressed to the developers how to develop and get Camel riding in the cloud. He gave a tour of the cool and awesome much improved Fuse IDE 2.1 product. It now has even more Camel crack for runtime insight. As well as easier deployment for both local jvms, remove machines, and as well the clouds. On the 2nd day, we have Gabe Zichermann giving a very entertaining keynote, about gamification. The idea of getting people engaged, based on the ideas of computer games. But applying them in a real life processes. For example a company managed to get its employees go to the gym, based on teaming up, and competing against your co-workers. In Sweden they have traffic cameras, using reverse sychology, by enlisting people in a lottery, if they are within speed limits. However people above the speed limit will of course still get a fine, and not participate in the lottery. I have heard good buzz about Stan Lewis and Dhirajs talk about how to manage, monitor and provision a cluster of machines, in a data centre or the cloud. 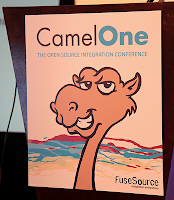 Dhiraj showed how Fuse HQ could monitor the Camel applications running on numerous machines. And how that worked as well when Stan did a rolling upgrade on the fly, leaving Fuse HQ being able to compare and display a "before" vs. "after" overview. Likewise the tweets about Charles Moulliard were very positive. Seems like people wanted to go and play with websockets, and the Camel. This is definitly cool. So Camel 2.10 is a much anticipated release, having the websocket component out of the box. 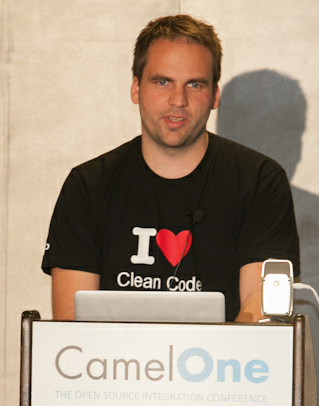 Kai was on the stage again, giving a talk about using Apache Camel with BPM (Avtiviti). Kai gave us a rundown of the differences between Camel and Activiti, and where they overlap. As well when you should use either one, or both of them. In Kais talk he give live demos which is a nice change in the flow, to see the "code" for real. Activiti and Camel together seems powerful. And the Activiti designer looks beautiful. Did you know that Camel is help protecting the Canadians. Mike Gingell from General Dynamics Canada gave us a rundown of how they have been successful by using open source integration technologies from Apache. 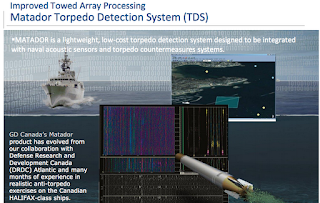 The Camel is helping in cool stuff such as with the marine to detect torpedo attacks, with satellite surveillance of the north poles, and to keep track of personel and whatnot. Mike gave a really great talk, and also took us through how his team is battling uphill in a traditionally conservative organization where software projects take millions of $ and years to just get started. They have been on the open source road for about 5 years, and jumped on Apache ServiceMix when it became OSGi based. And the Camel has been riding all along together with ActiveMQ and CXF. 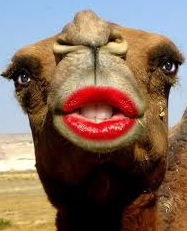 So the Camel is help protecting Jonathan Anstey, who lives in New Foundland, Canada. 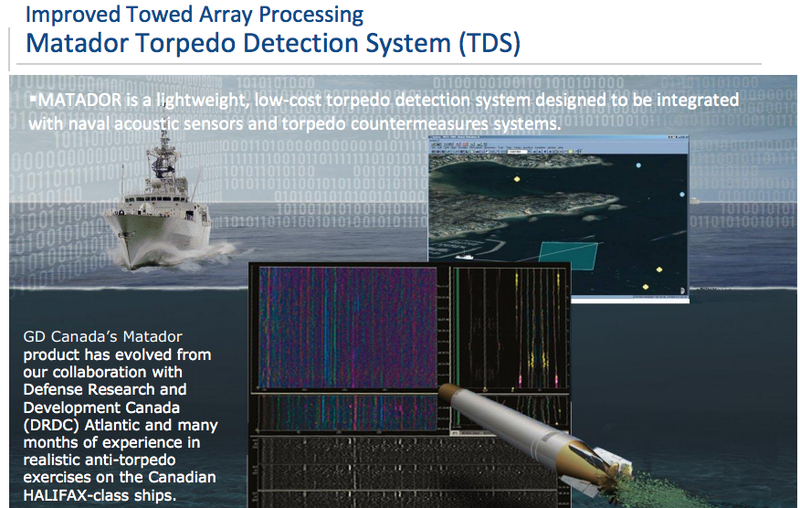 Must be cool to know that the software he works on every day, is now serving the people of Canada. The ending keynote, was a real treat to all of us. Felix Ehmn from CERN gave us a very interesting talk how CERN is using ActiveMQ in their control room, to monitor the most complex machine man have ever built - the Large Hadron Collider; eg the 27km circle where they smash atoms together and see what happens. There is 85.000 devices, which they need the monitor. Its everything, from censors on the collider, to fire alarms, door buttons and whatnot. CERN is definitily a cool place. In fact the coolest place on earth as well, as they need to cool down the collider, to 1 degree kelvin. That is - 272 degrees celsius. 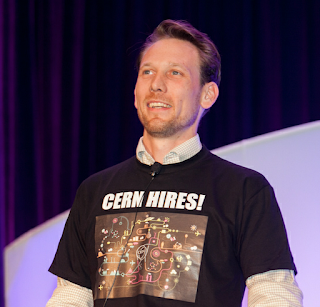 Like CERN, the CamelOne conference was very cool. Kai Waehner blogged his CamelOne report. 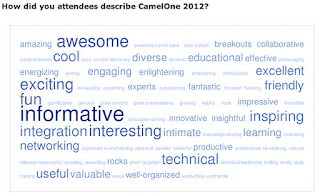 Hope to see you in 2013 at the next CamelOne conference. As David Reiser tweeted, the conference was awesome.